HERE is part of my Words of artwork which focus on one word that is featured with Scrabble letters as the title on the front of the canvas. This piece is built on a 8 x 8 inch canvas. HERE was created with the idea of finding your place, in that moment, in a particular place. It also has a deeper meaning, of all of us longing to find that one place that we can find our true self in. 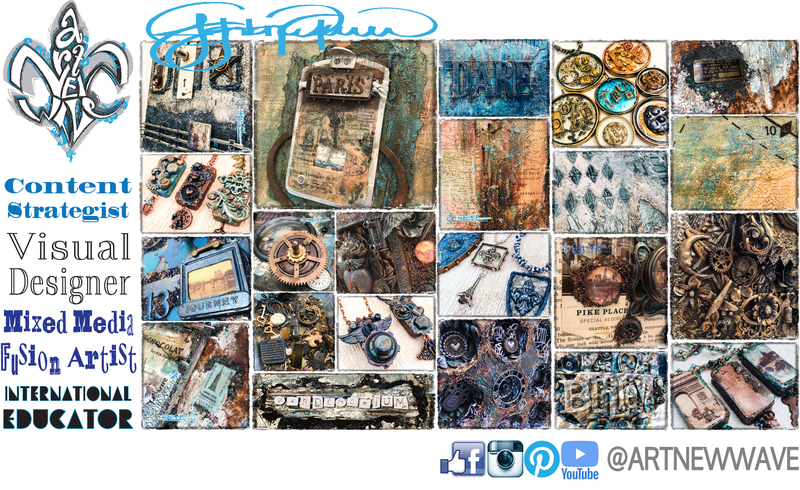 HERE features rich textures and colors on the background, layered with up cycled corrugate that has a vintage map placed upon it and set with a crackle paste. There are a variety of found objects incorporated into this piece including a flour-de-lys, metal shank piece, and a mini compass to help guide you to find your HERE.